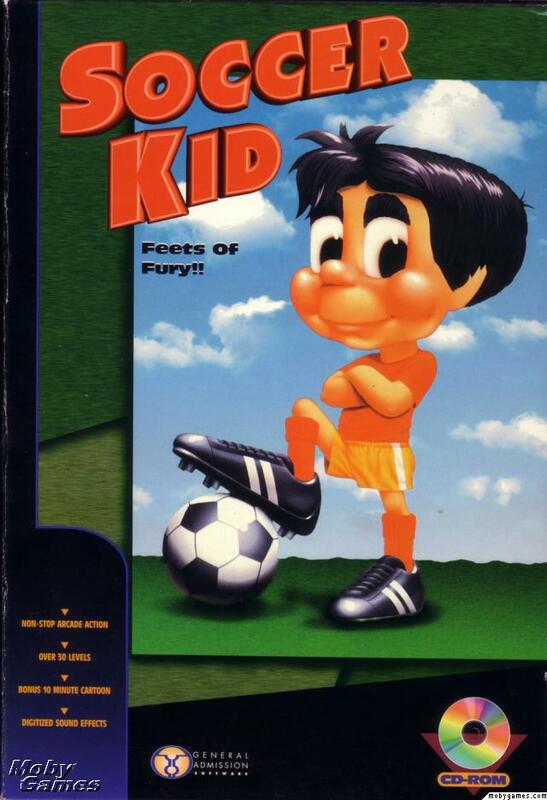 Soccer Kid is an unique platform game featuring smooth scrolling VGA graphics, and an all digital original MOD soundtrack. You are Soccer Kid, and you have to recover the broken World Cup pieces scattered around the globe. During your journey you will visit Britain, Italy, Russia, Japan, and finally the States. In Soccer Kid, as the name implies, you have to kill your enemies with your ball. You can do a lot of trick kicks that are really fun to watch. There is a saving feature that gives you the ability to save between each country (but not between individual levels).